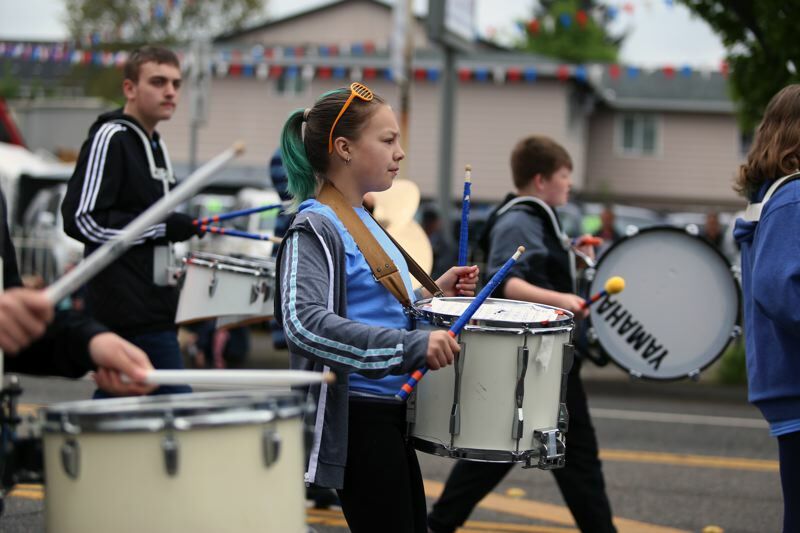 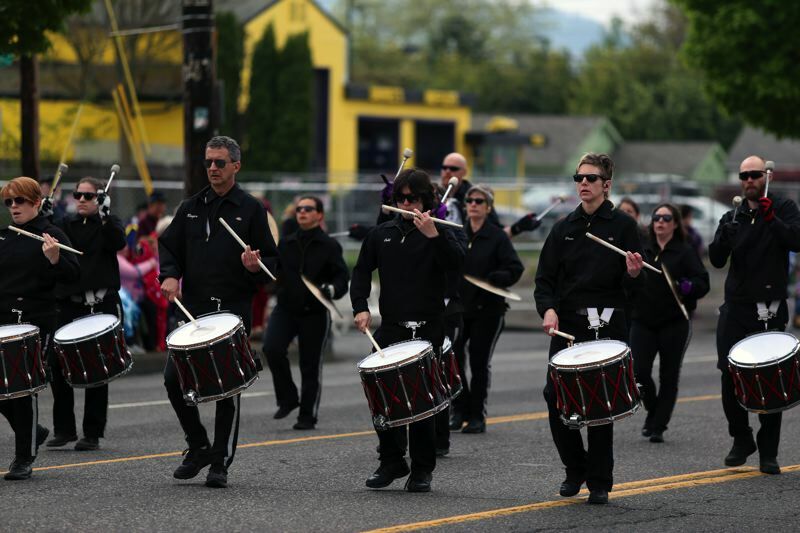 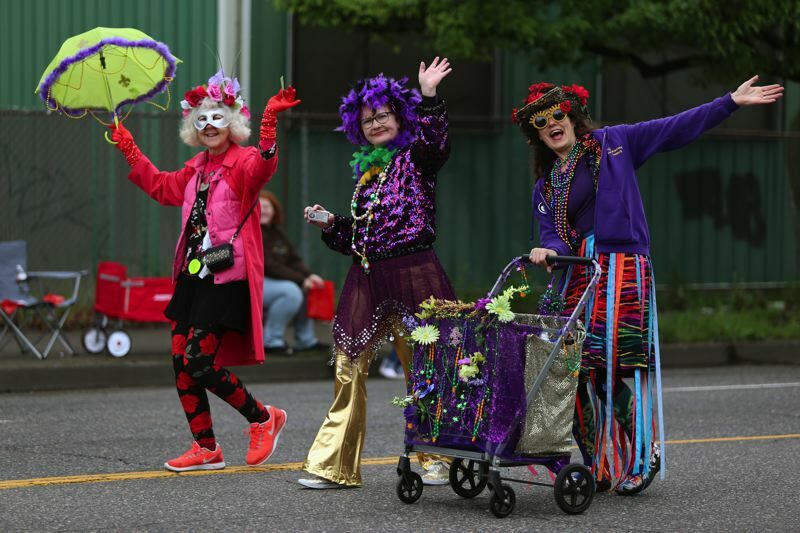 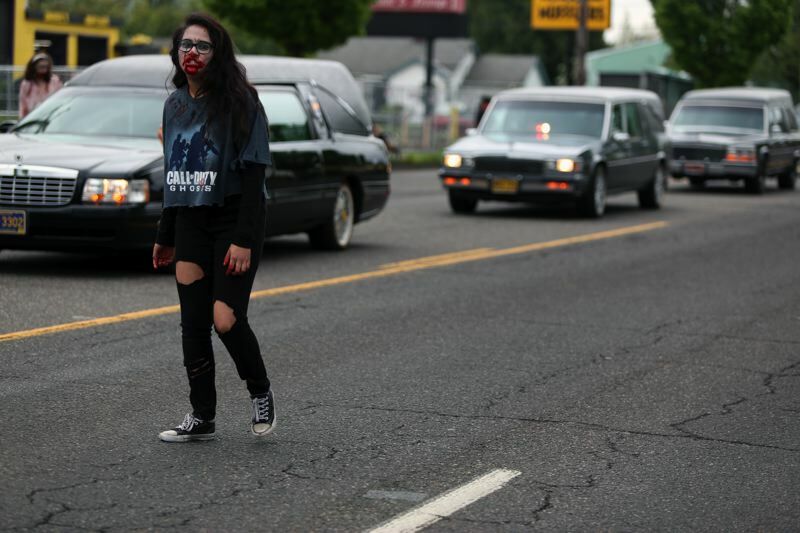 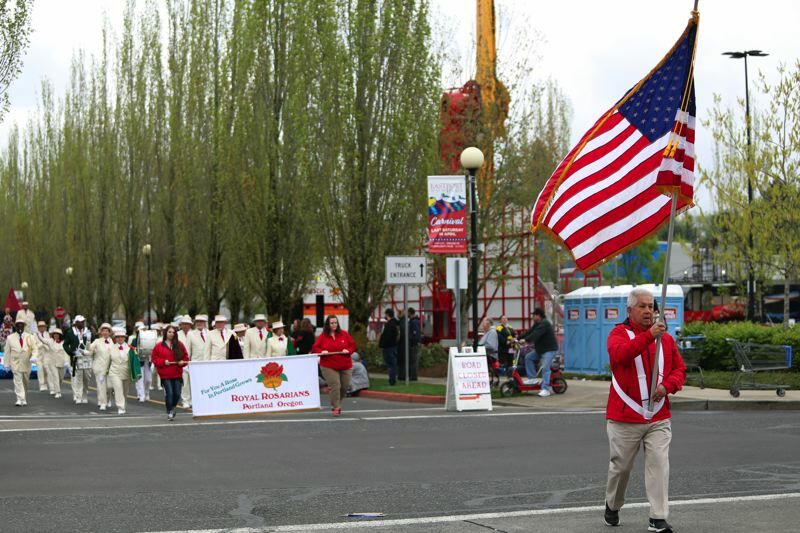 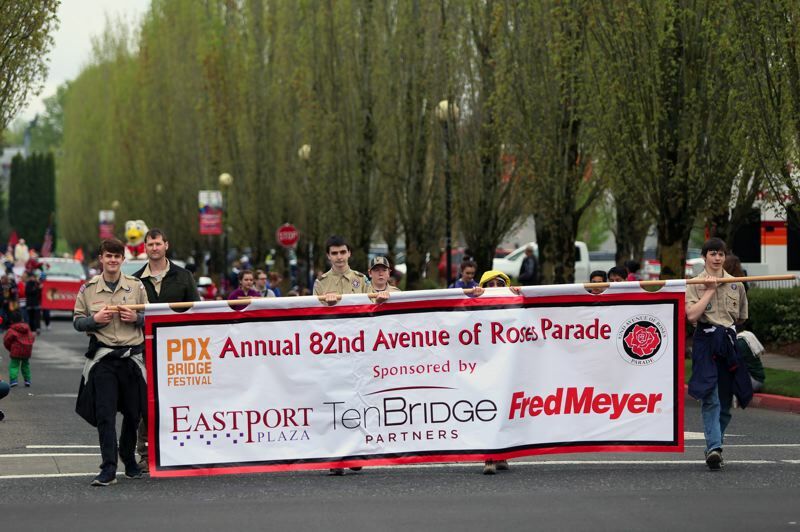 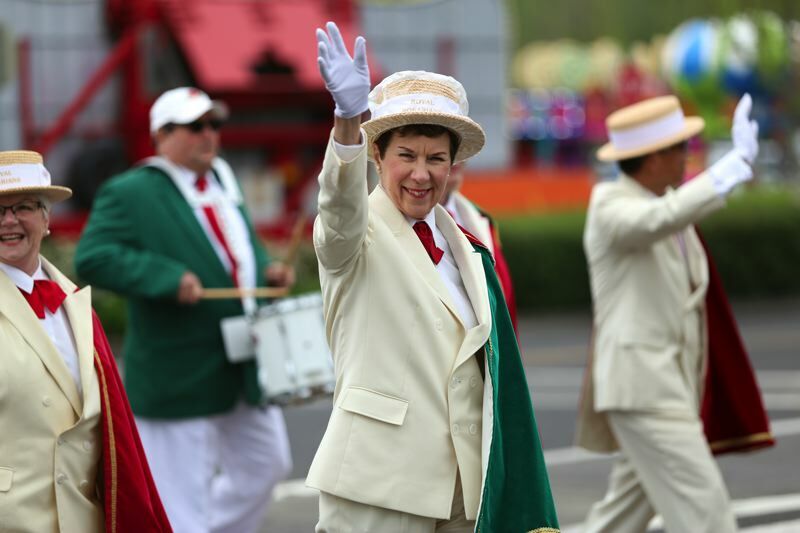 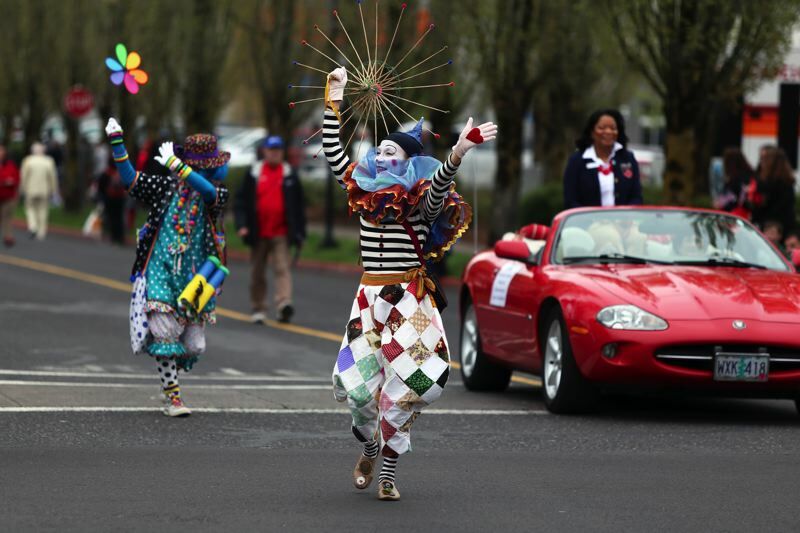 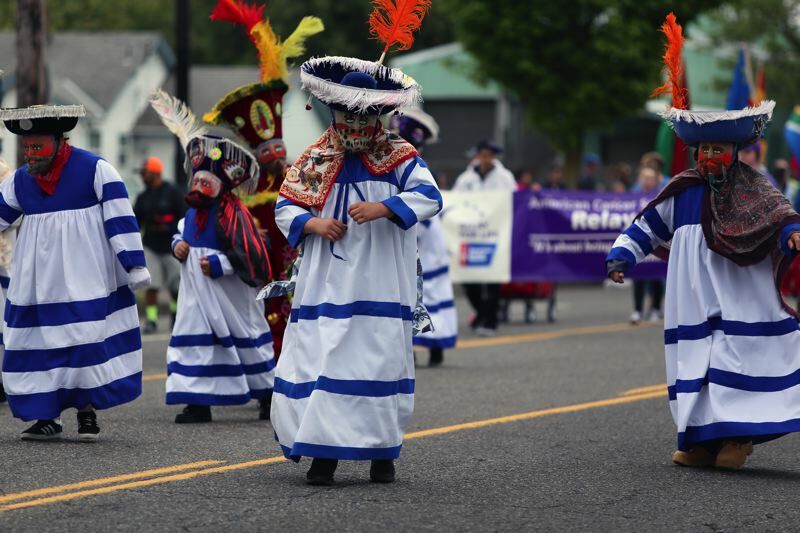 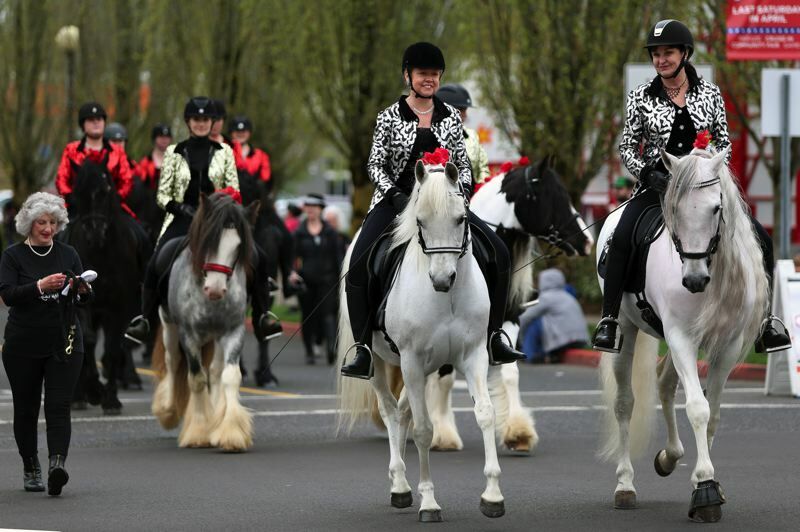 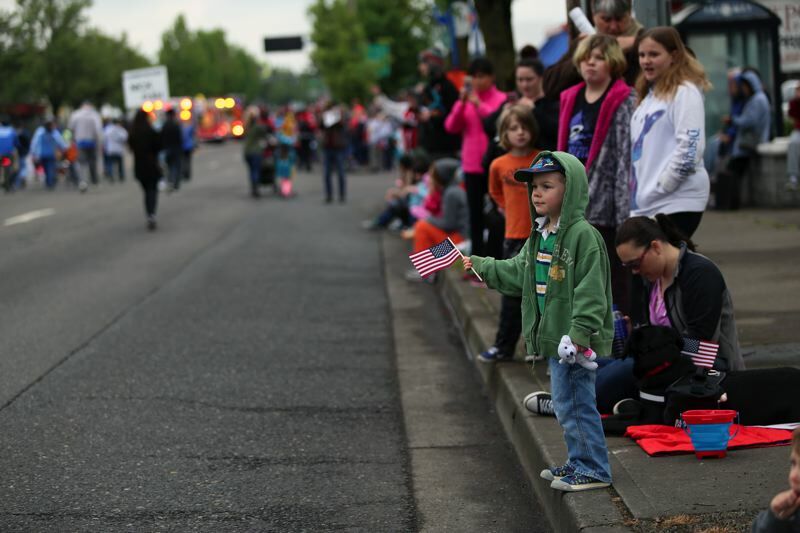 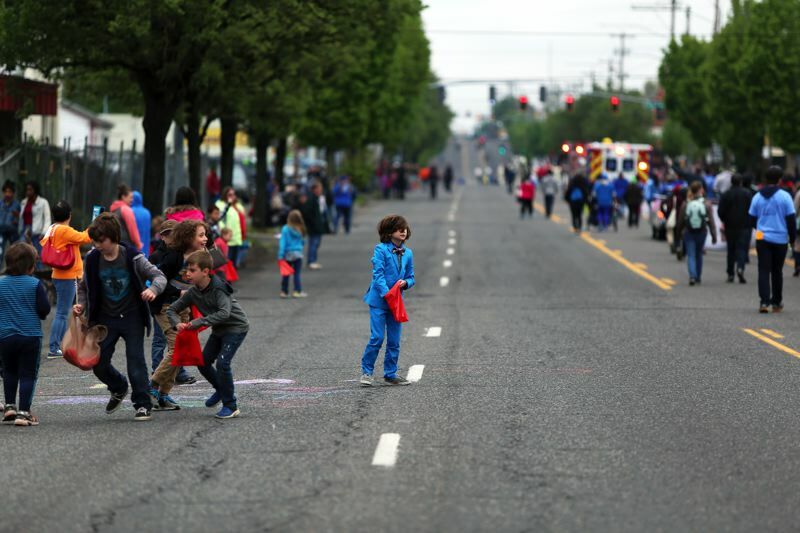 The first event of the Rose Festival, the 82nd Avenue Parade, happened this morning after being cancelled last year. 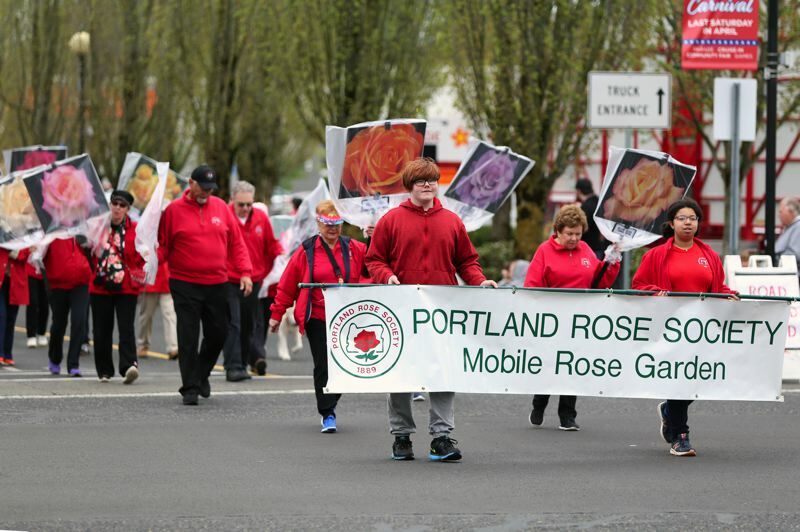 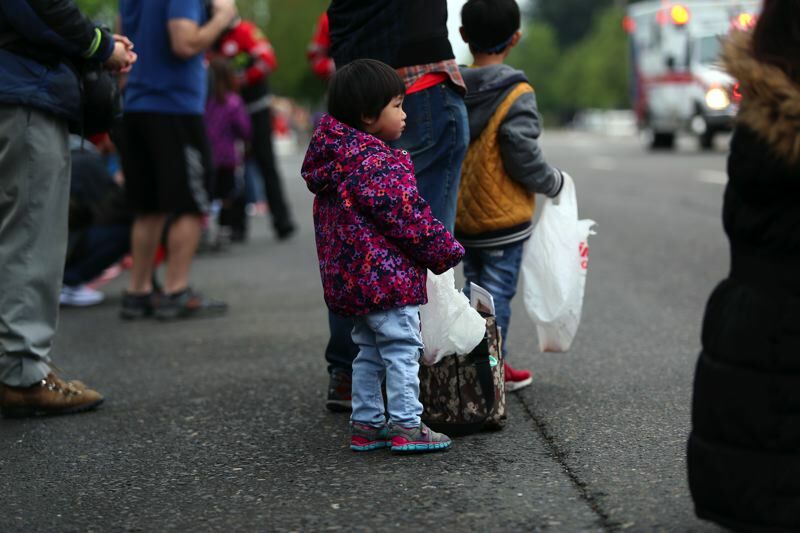 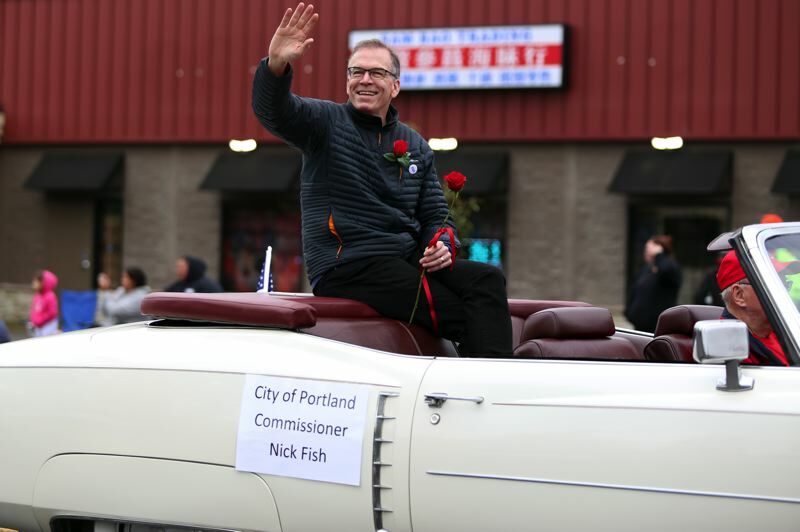 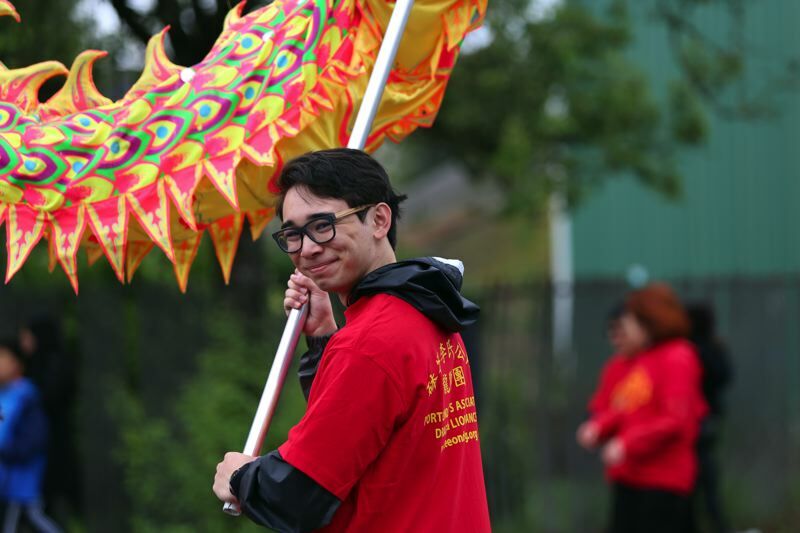 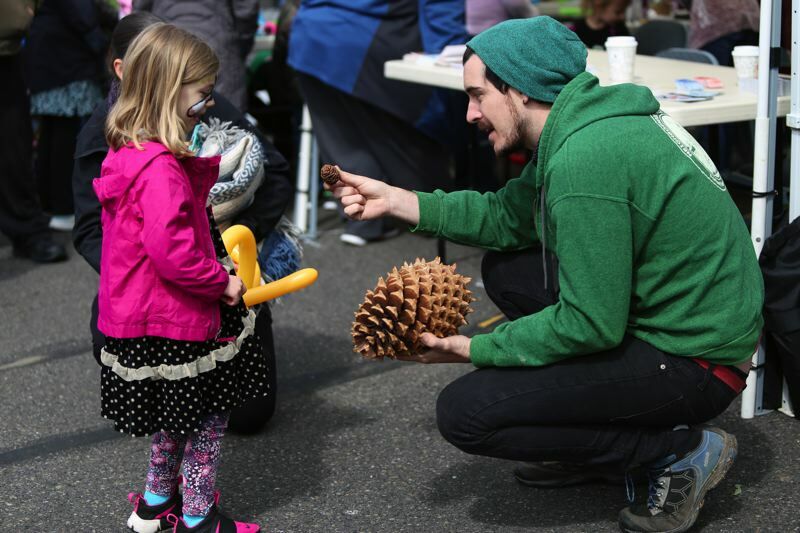 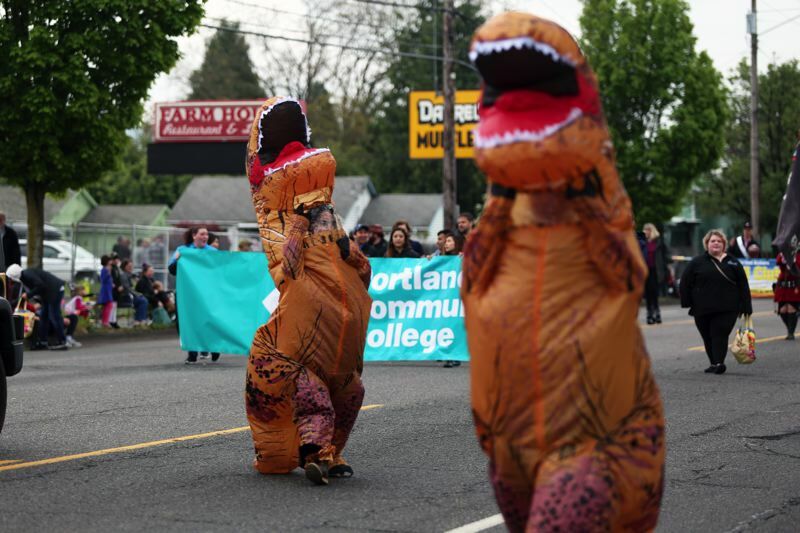 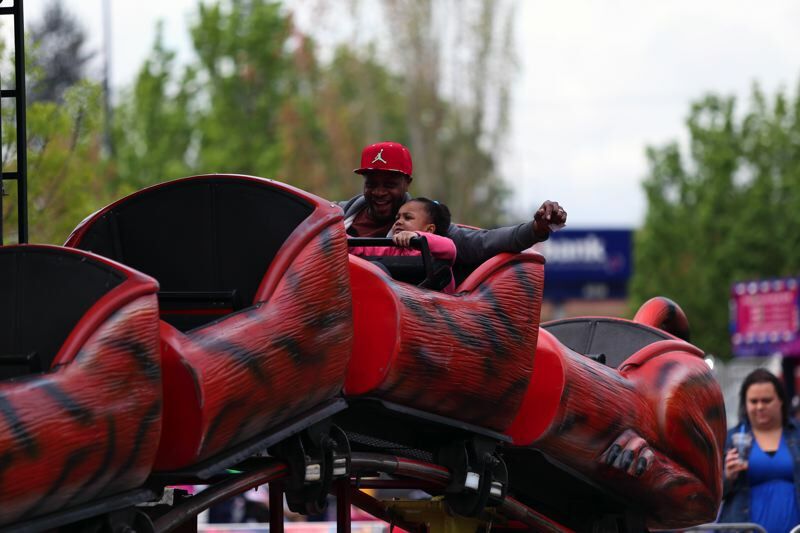 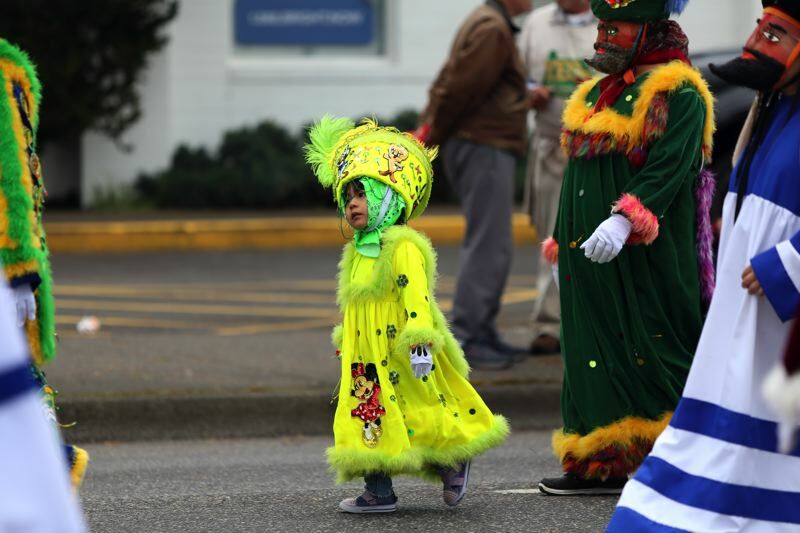 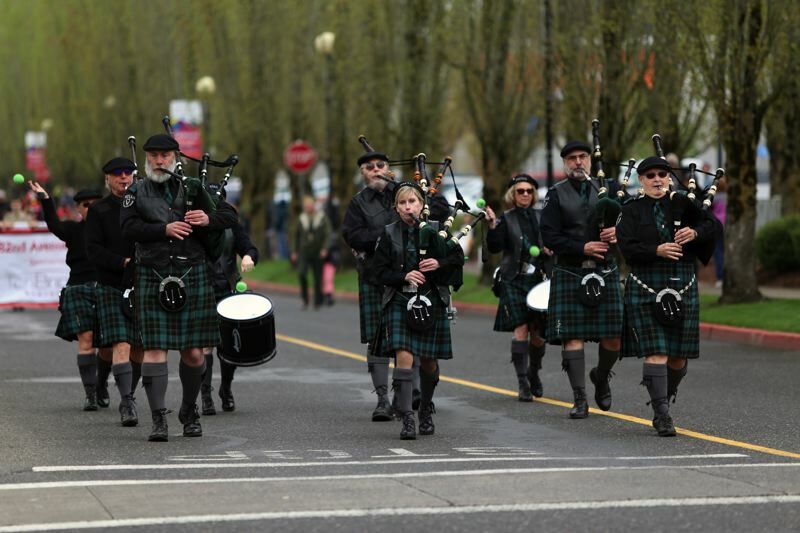 Residents, business owners, and others gathered Saturday morning for the annual parade to celebrate the diverse district and kick off the Portland Rose Festival. 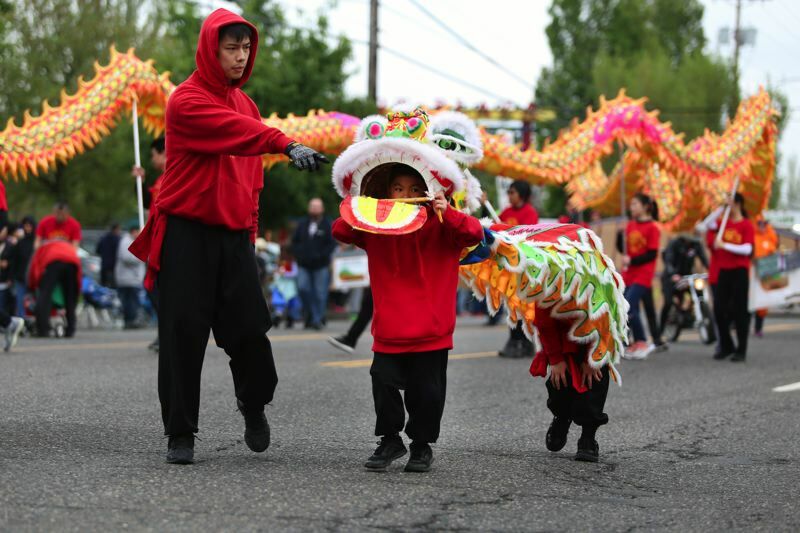 The event was canceled last year due to threats of conflict and political protests. 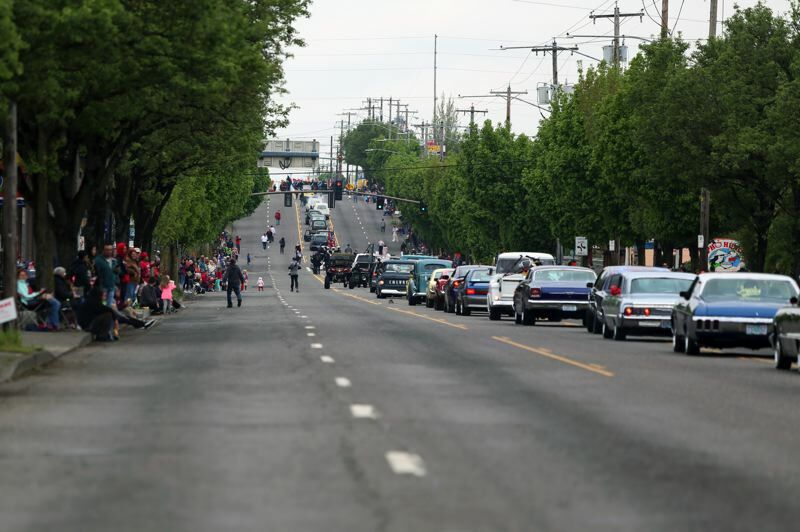 Security was at the event today, and there seemed to be no disruptions or conflict. 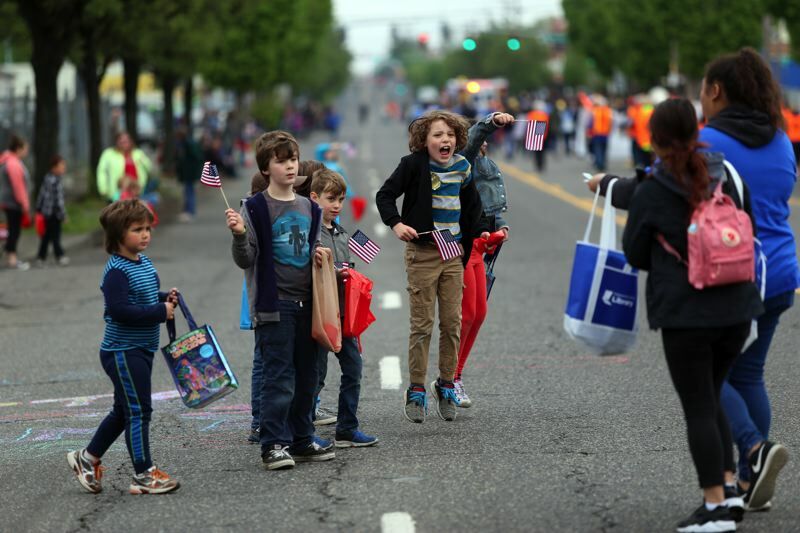 The parade began at 9:30 a.m. at Eastport Plaza, and participants walked down 82nd Avenue, giving away candy and smiles. 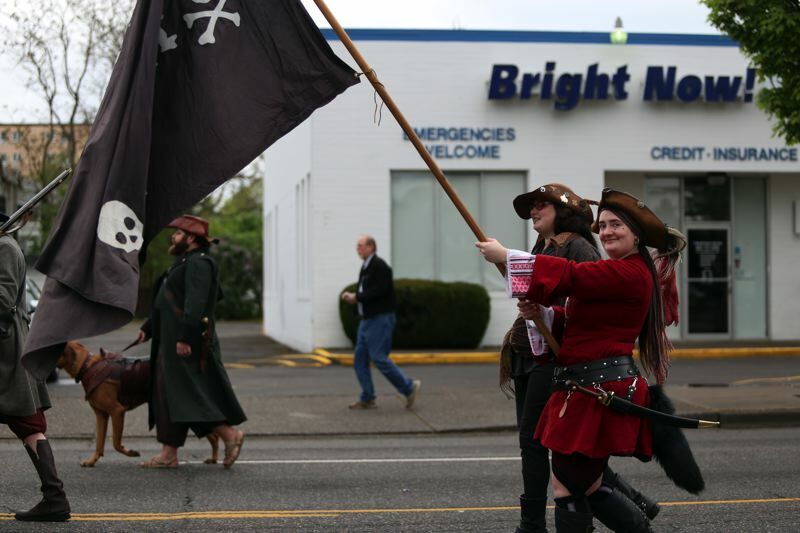 Local residents and kids sat on lawn chairs and blankets under overcast skies, and waved at pirates, zombies, local politicians, clowns, dinosaurs, and firefighters. 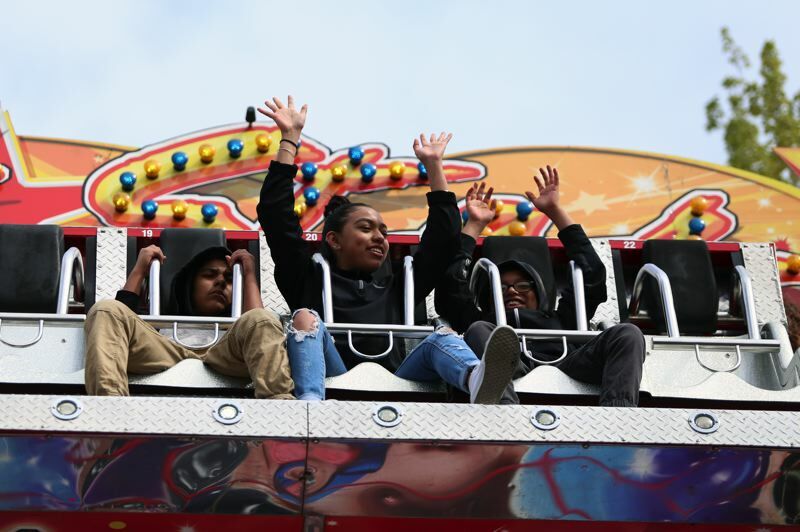 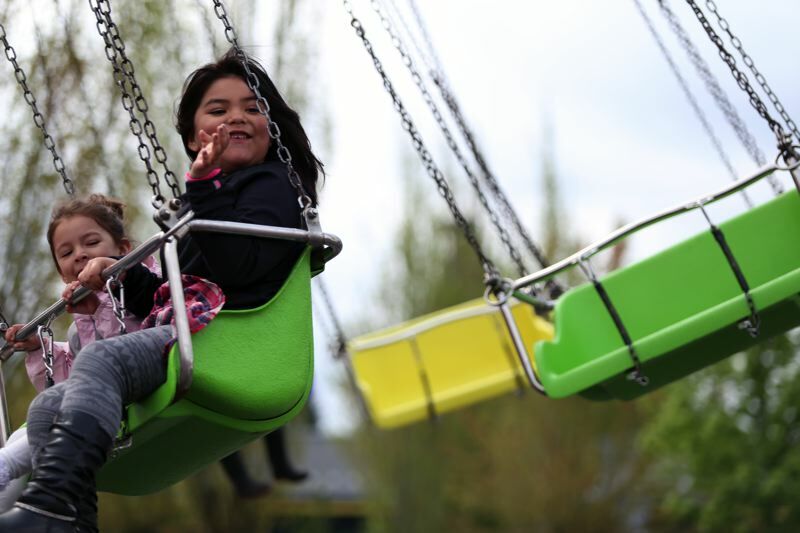 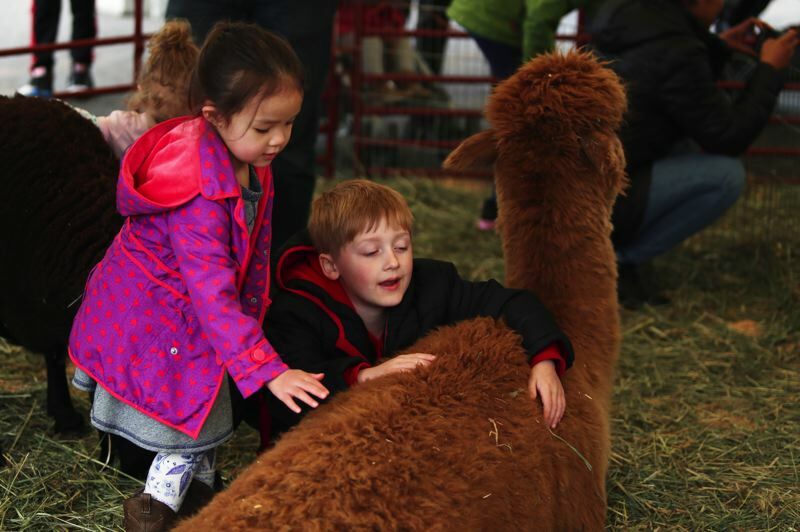 After the parade a carnival was held at Eastport Plaza with vendors and food trucks, as well as carnival rides and a petting zoo. 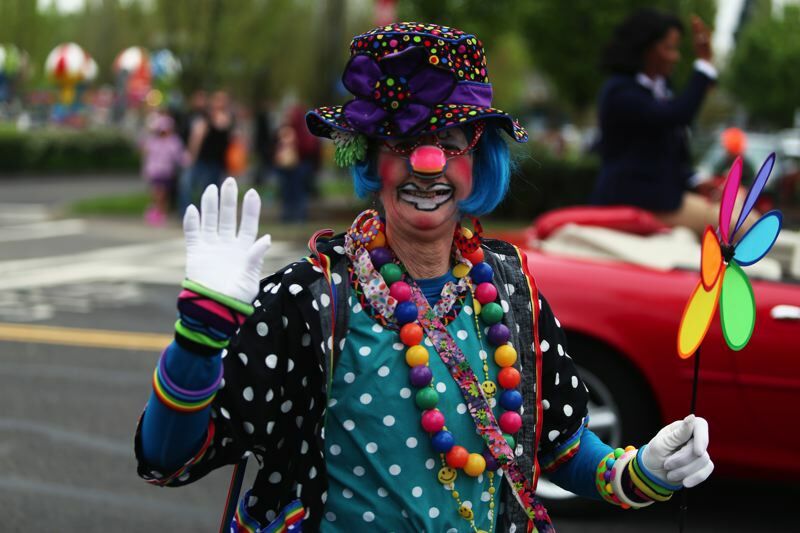 The carnival ends at 3 p.m. Saturday.